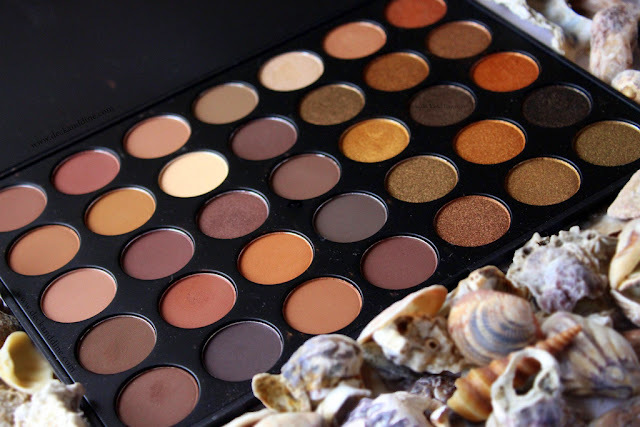 Morphe Brushes is an expert in creating eye shadows. Their pallets are gorgeous and score rave reviews all over the world. I just got my hands on the MORPHE 35R READY, SET, GOLD Eye Shadow Pallet which they launched in April this year. I got mine directly from their website and is a part of my USA haul I did recently. (Click HERE to see what else I got). Bring the regal look of gold to everyday life with buttery, rich, pigmented shadows in 35 shades of standout color. The mix of mattes and shimmers that range from dark chocolate to café au lait are crowned with standout metallic shades of polished copper and true gold. $ 22.99. You can get it from Instagram sellers at 2000-3000. The 35 eye shadows come housed in a large, sleek, non-fussy black palette box. The palette further comes inside a black cardboard box where the ingredients and pallet name mentioned on the back. This is such a regal looking pallet. There are 35 shades, 18 mattes and 15 shimmers. 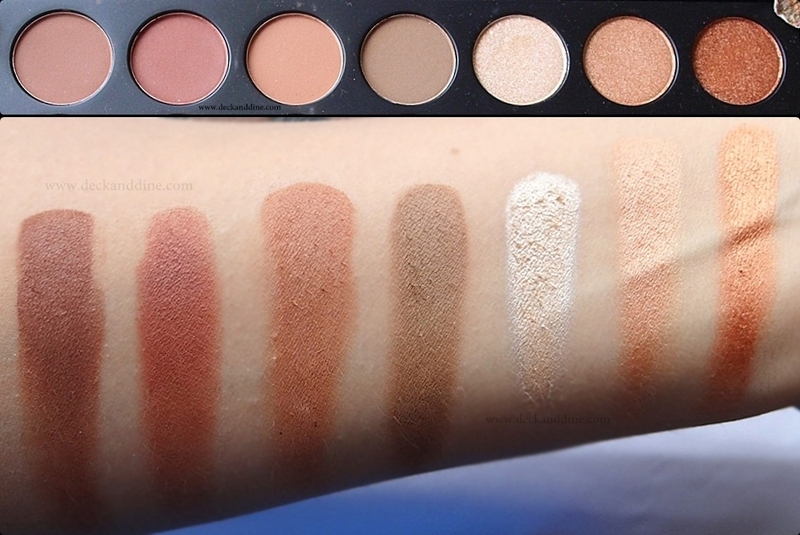 On the left there are four columns of matte eye shadows, just two eye shadows among them have subtle shimmers and the shimmery, frosted ones are on the right. This is a pallet for brown, gold eye shadow lovers. Just look at the shades. My My..!! Bronzes, Golds, Coppers and Browns.. There are all the browns that you will need in your life. Being a gold and brown eye shadow lover, this is my dream pallet. Shade 1: A reddish brown. Shade 2: Same as shade 1, just lighter. Shade 4: Matte cool toned brown. Shade 5: Shimmery champagne highlighting shade. Shade 6: Peachy champagne color. Shade 7: Is a medium orangy, bronze color. The palette left no room for complaints because it is simply incredible. 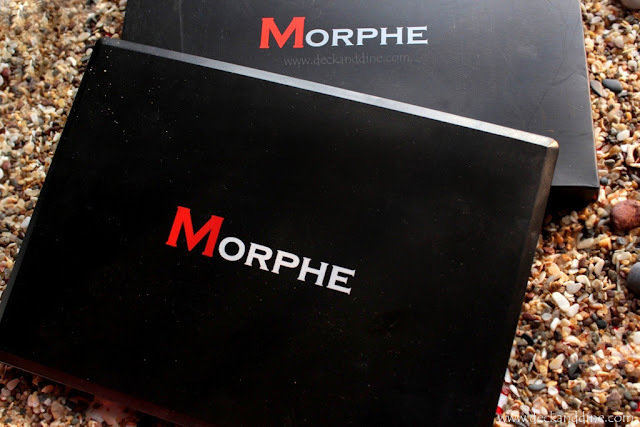 Morphe Pallets are the best I have used when it comes to texture, color payoff and staying power, this one is no exception. All of the eye shadows are smooth and blends like dream. The metallic shades are gorgeous and doesn’t feel gritty or chunky, they are finely milled, tightly packed and doesn’t fall out. The matte shades are soft and smooth as well and doesn’t feel powdery or chalky. The eye shadows are incredibly pigmented. See the hand swatches; I just barely dipped into the eye shadows. The shadows stayed on me for more than 10 hours without fading or creasing a bit. Yes, these are this pigmented and such long staying even with any primer underneath. The metallic ones are finely milled and don’t feel gritty. The matte ones are smooth and non-chalky. Big, but sleek palette, so won’t take a lot of room when travelling with it. Non-availability in India. Why?? Whyyyyyyyyyyyyy? Some are just a little darker-lighter shade of the same color. So people might find the colors repetitive. This is my dream pallet. 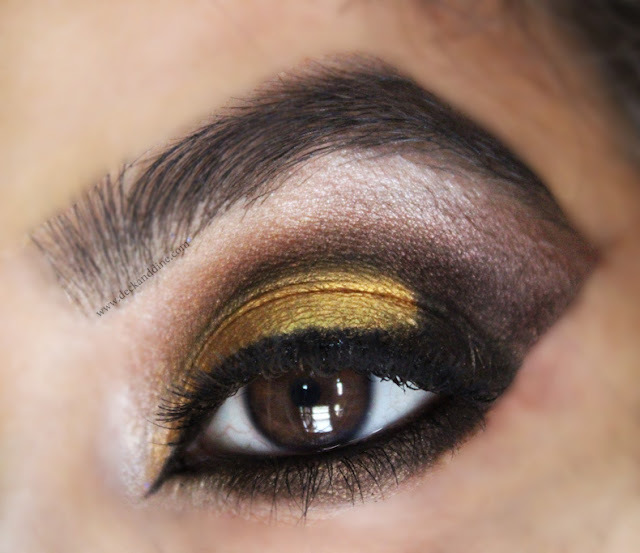 I love browns and gold, and this pallet is heaven for me. 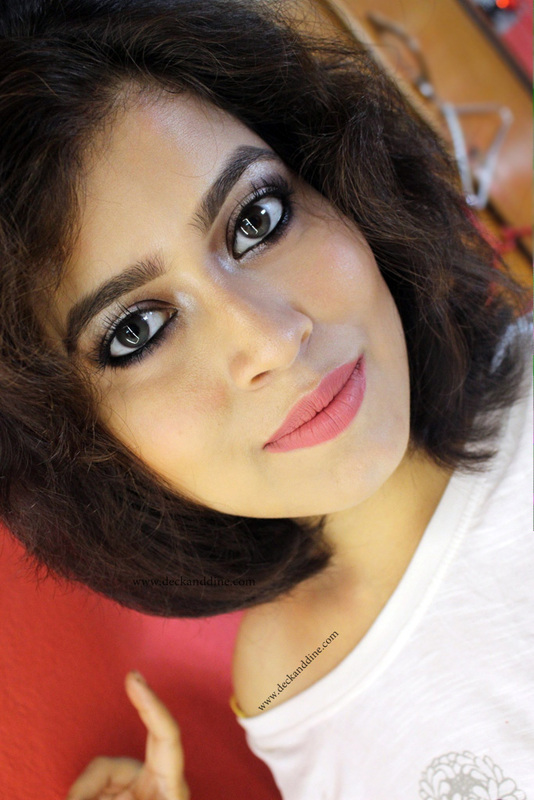 You can make a dramatic as well as a subdued, subtle look. 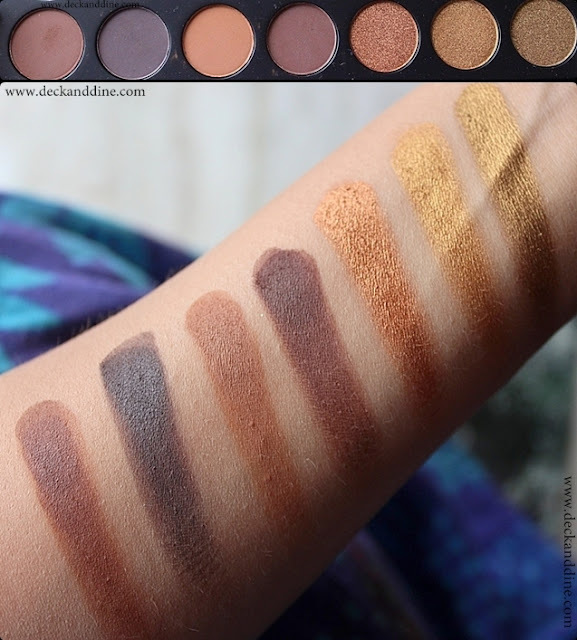 This pallet is great for any skin tone, whether you are fair, tanned, medium or deep skin toned, all of these colors will look beautiful on every single person. 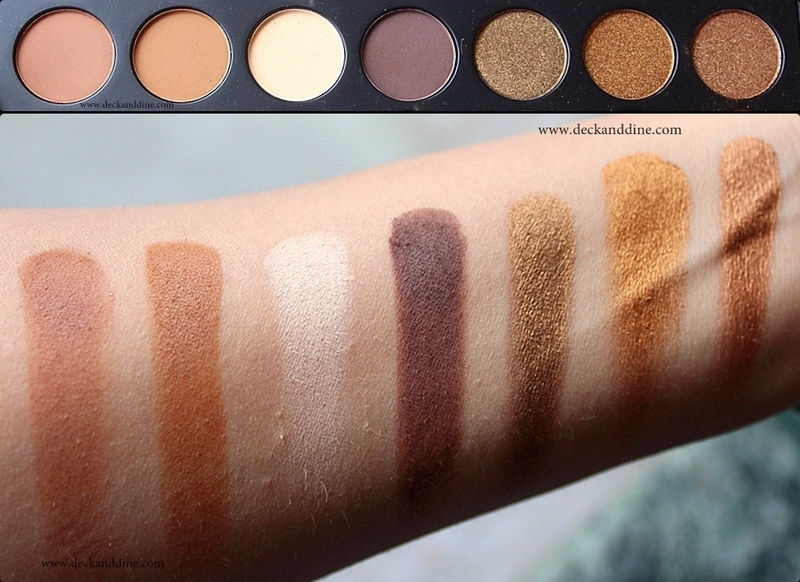 This palette is absolutely breathtaking and perfect for anyone who loves browns and gold tones. 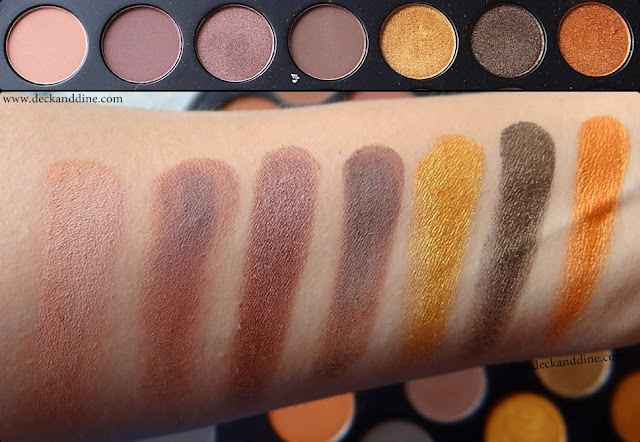 Checkout the review of Morphe 35F Fall Into Frost pallet HERE. My my! Every shades speak for themselves. Love every bit of it.